Materials: Mostly metal with some plastic construction. Trigger Pull: The trigger pull on the KWC 357 2.5 Inch CO2 Airsoft Revolver is good in both single and double action, even better than the Dan Wesson and S&W 327 TRR8 shell loading revolvers, most likely because the spring tension that pushes the inner barrel to make contact with the cylinder is noticeably lighter on the KWC 357's. Even the hammer is smoother and has less wiggle, just a better trigger and hammer mechanism overall. 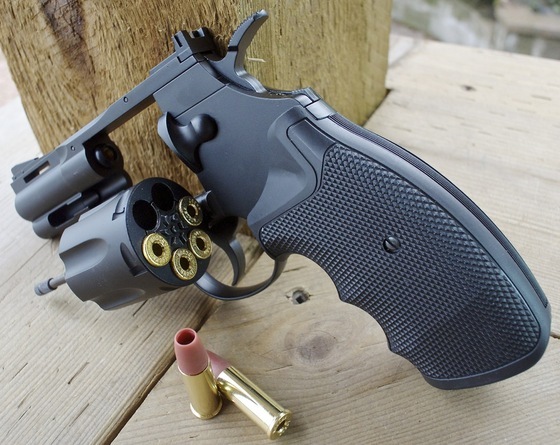 Accuracy: This is yet to be determined but I did notice on the KWC Airsoft versions of their shell loading Airsoft Revolvers, that they do have a built in preset Hop-up by way of a small rubber bar that goes along the top of the barrel just inside the rear portion. This will create some backspin which will keep the Airsoft BB's trajectory more level but should also help them stay more accurate in general as compared to a plastic Airsoft BB that is not spinning but rather just floating through the air. 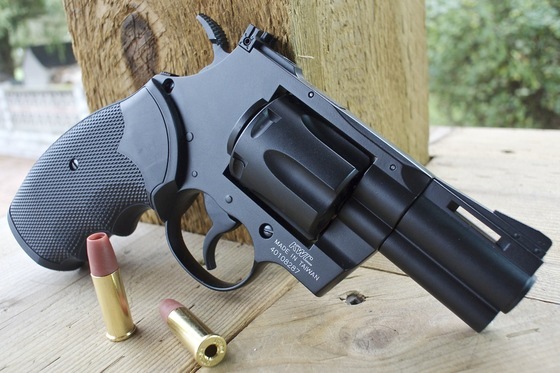 Build Quality: The KWC 357 2.5 Inch CO2 Airsoft Revolver being mostly metal has a very good build quality, perhaps even better than the Dan Wesson and S&W 327 TRR8 shell loading revolvers, even the weight of the KWC 357 is noticeably more! The only real plastic or rubber I could find was in the grips and the shell tips. Fit and finish was also good with no noticeable wear or sloppy workmanship. Good overall weight, Very dense because of the shorter barrel. 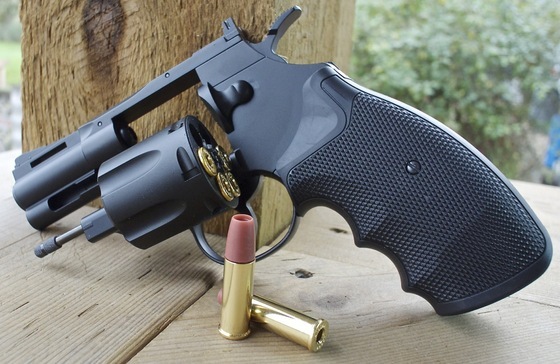 Should have good overall power, accuracy and shots per CO2 (based on Colt Python testing). 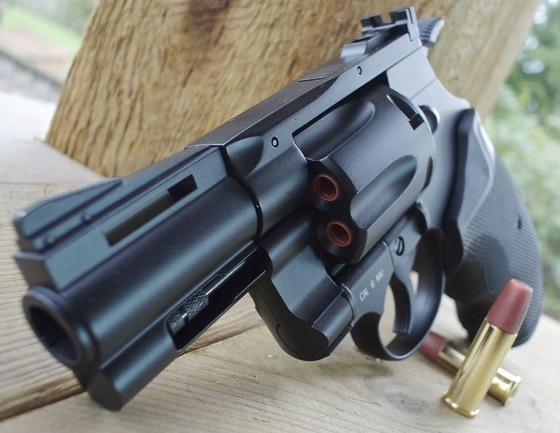 Short 2.25 inch barrel will rob power but the Dan Wesson style long barrel Airsoft revolvers are know to be a bit hot for some Airsoft games so this may be a good thing. Grips may be a bit large for people with small hands. All black sights with no white dots are not great on dark backgrounds or low lighting.